TOKYO (Reuters) -- Honda Motor Co. said on Monday its production in China fell 15.7 percent in May, marking the first year-on-year fall in 12 months as a strike at a supplier forced Honda to suspend work at its local plants. Japan's second-biggest automaker made headlines last month by halting production on and off at its four car assembly factories in China, initially hit by a prolonged strike at a subsidiary's transmissions plant. That dispute, which ended in an agreement that granted workers higher wages and more benefits, has had a knock-on effect, leading to at least three more strikes at a supplier to Honda. 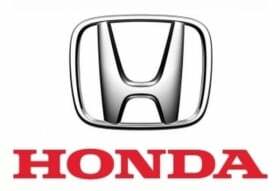 Honda said it built 37,367 cars last month, when production was disrupted during the last week. Honda has had to suspend production over several days also in June. Rivals Toyota Motor Corp. and Nissan Motor Co., in contrast, increased Chinese production by 17.9 percent and 34.6 percent, respectively, in May. Toyota has also been hit by supplier strikes this month. Analysts have said they see limited financial impact from the production stoppages, with the automakers planning to make up for lost production by working on holidays and overtime.